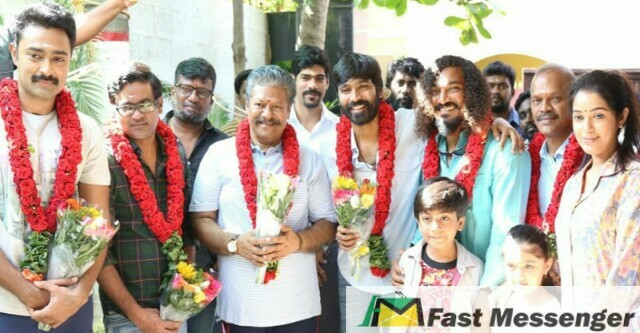 Dhanush is currently busy with his directorial debut ‘Power Pandi’. Rajkiran is playing the lead role in it. Along with him Prasanna and Chaya Singh are playing characters in the movie. Sean Roldan is scoring music for the movie and Velraj is taking care of cinematography. Few scenes of the movie have been shot and the rushes have been kept on the editing table. Dhanush had invited his brother and director Selvaraghavan to have a glance on the scenes shot. Selvaraghavan after watching the scenes of ‘Power Paandi’ on the editing table has appreciated and wished Dhanush on his twitter, “Saw the rushes of #Powerpaandi & blown away. So funny,magicap & touchy. Proud of you @dhanushkraja and Rajkiran sir, you are simply superb”. Dhanush has returned his thanks on his twitter platform as, “Thank you so much SELVA. I am so excited and thrilled YOU liked the rushes. Ella pugazhum ungalukke.”.